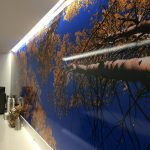 Superior quality and impressive designs of wall graphics and murals are offered by the leading supplier in this local area. 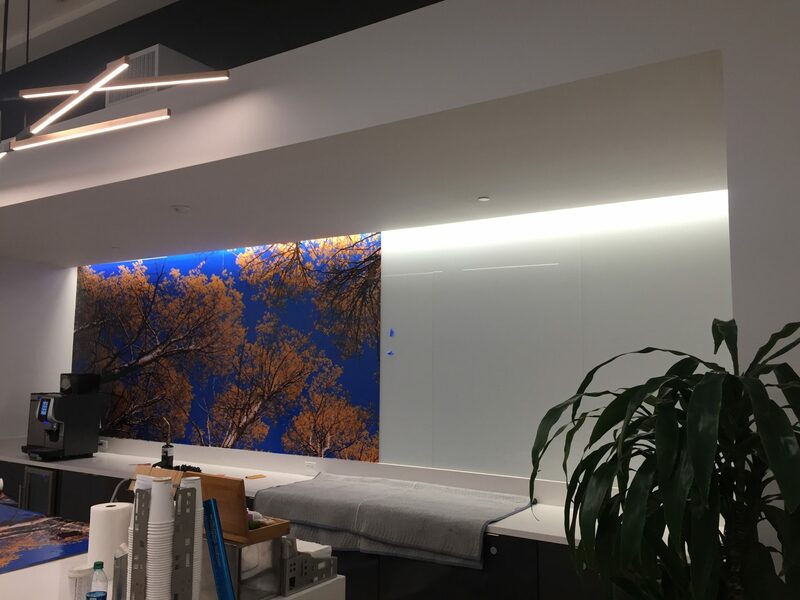 Our business, Creative Edge Signs and Graphics, has been trusted because of our impeccable customer service and state-of-the-art designs for these murals. These things bring inspiration and transform people’s lives in many ways. 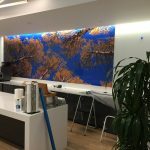 These murals are perfect for corporate purposes, giving you an artistic way of telling the stories of your company- how it all started, its accomplishments, and summary of your services. Turn your dull-looking walls into a lively and invigorating space by adding colors to them. 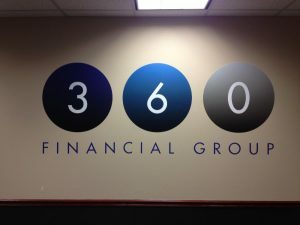 In fact, many of our customers have been proud of displaying their company logo in their lobby. Or, you can place it where you think people will see it right away. 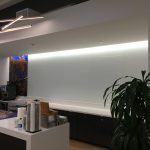 We provide excellent services while considering the purpose, placement, and size of the murals you want for your office. Every type of mural you may expect is available in our company such as hand washing signs. 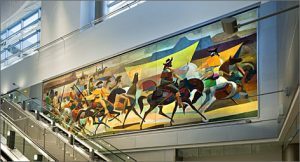 Our team of professionals will be on-hand in designing and delivering every piece of the mural you ask from us. 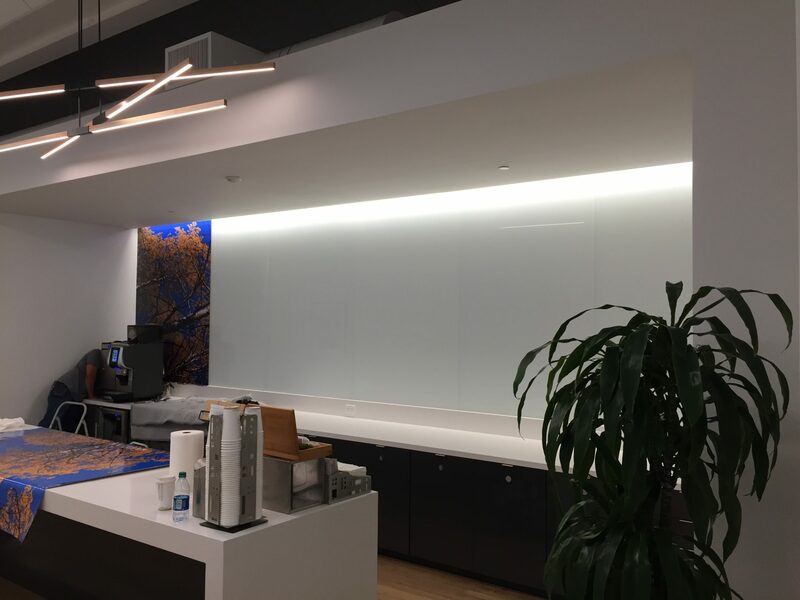 Most importantly, we are here to install all wall stickers, graphics, and vinyl signs in your workplace. Thus, giving a fresh and vibrant life to your walls and soon, to your employees. We also give a chance for our customers to bring out what’s in their mind. If you have unique ideas for mural designs, you can share them with us. Then, we will assist you all throughout the process of wall transformation. An existing building can be changed into a place of art and inspiration. We will help you achieve this with the help of our expert staff members. Call Creative Edge Signs and Graphics at (202) 793-8277 for a Free Consultation with a Wall Mural Specialist! 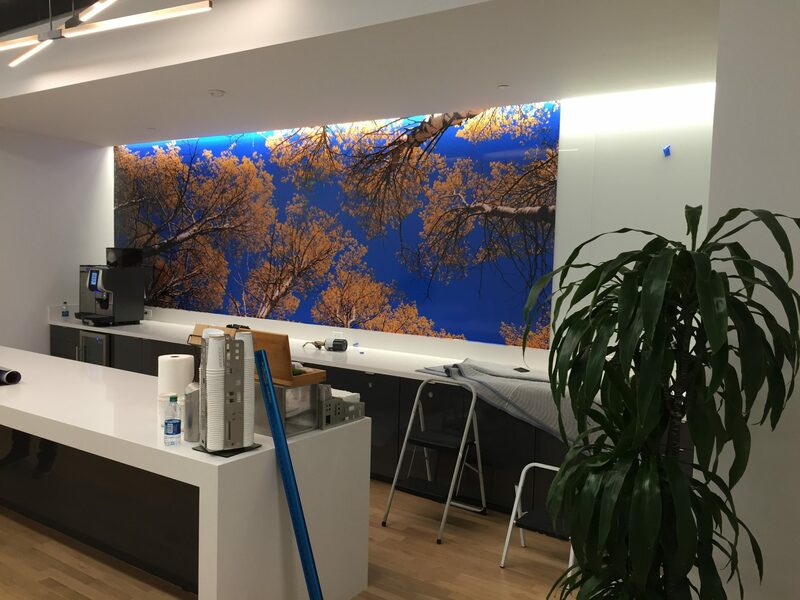 We take pride in our customizable wall mural services. 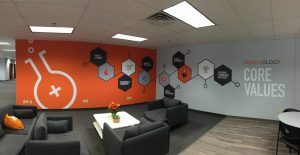 We design and style murals based on the branding and space of your office. 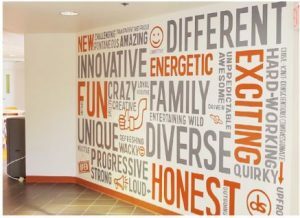 When it comes to wall lettering and graphics, we are never left behind. With our long-lasting and lovely creations, expect to see an enormous difference in your business. We also create landscape murals in large formats and even individual wall decals. 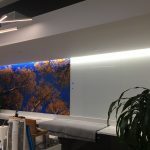 On the other hand, we do not mind if you have changed your ideas about the specific mural or graphic installed on your walls. All the wall murals we offer are removable without damaging your walls. Our flexible services keep our customers coming back. Designing may not be your thing. Well, you do not have to worry at all. The presence of our graphic designers completes the job for you. We can also conduct on-site evaluations if you prefer. Creative Edge Signs and Graphics has been trusted for its vast range of options available all the time. All you need to do is to choose. The good thing about vinyl materials is that they can be self-installed. However, if you want a smooth finish, we are here to help. Dealing with large formats of graphics can be tough as you face a lot of issues. When you choose us, you free yourself from all these daunting tasks and tough issues. At Creative Edge Signs and Graphics, we work with passion and dedication. Our impressive services and eye-catching products are the result of our teamwork, discipline, and expertise. We are always ready to guide you in giving clear and attractive signage, graphics and murals every day. 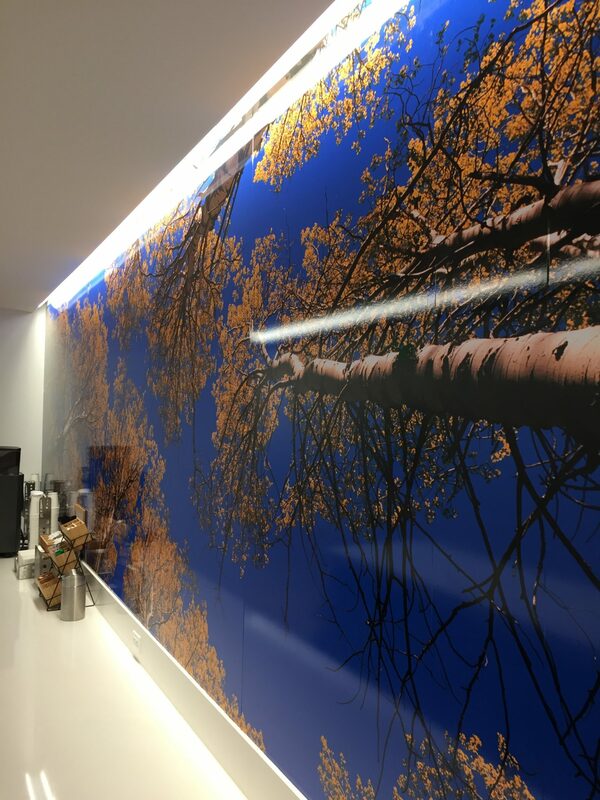 Call Creative Edge Signs and Graphics at (202) 793-8277 for a Free Consultation with a Wall Mural Expert! Great high-quality signs at an amazing price.